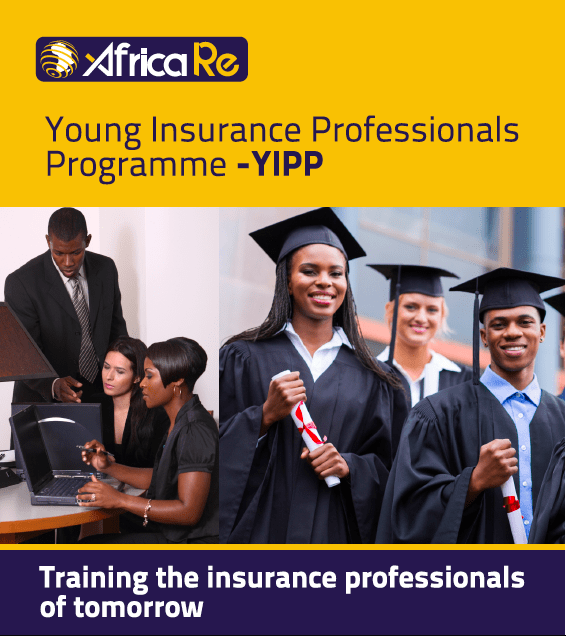 The Africa Re Young Insurance Professionals Programme (YIPP) is one of several ways Africa Re fulfils one of its missions to foster the development of the insurance and reinsurance industry in Africa. The YIPP is a starting point for an exciting career in the industry. It is a unique opportunity for young people with passion for insurance and reinsurance and the potential to become future leaders. The objective of this annual online training programme is to offer brilliant graduates the possibility of accelerated career development thereby contributing to the progress of the African insurance and reinsurance sector. The YIPP trainee will build a career by acquiring knowledge and competencies through a unique blend of on-the-job experience and a dedicated online training programme in insurance, reinsurance, management and leadership. Accelerated career development in the industry. Interested candidates are requested to submit an online application between 7 May and 6 June 2018. Log on to http://younginsurancepro.com and click on “Register” to fill in the application form. Applications received after the deadline will not be considered. Applicants should upload their curriculum vitae, reference forms and a cover letter. An interview may be part of the assessment process if deemed necessary. Successful applicants will be contacted by email before 30 June 2018 and must be available to commence the programme in July 2018. Any candidate who does not participate in any of the modules will be excluded from the programme.